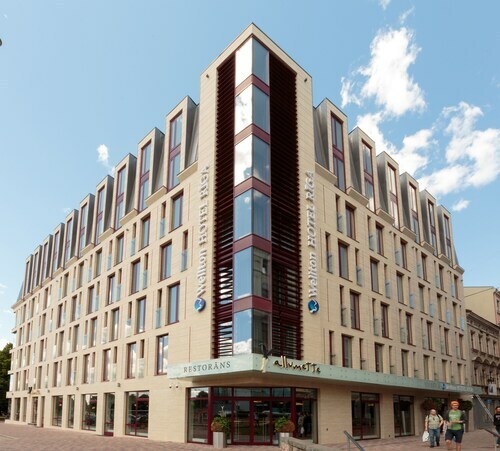 The hotel is on the outskirts of Riga old town which means a whole 5 minute walk and your through the centre of old town but also right near the market and cinema. 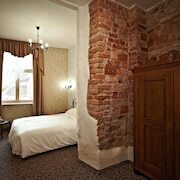 Hotel is in old town, close to many sights, restaurants and shops as well as 10 minute walk from bus and rail station. We weren't disappointed, the location (in the heart of Old Town) was absolutely perfect to explore Old Town Riga, as well as the rest of the city. It is a 20 minute walk from old town although the walk does take you through a beautiful park. Old Town is an historic neighbourhood known for its array of dining options and major shopping area. 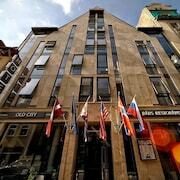 Here you'll find plenty to visit, including Small Guild Hall, Great Guild Hall and St. Jacob's Cathedral. 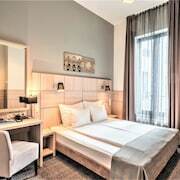 Old Town has hotels to suit everyone's tastes, and makes a great base for exploring the sights in and around Riga. 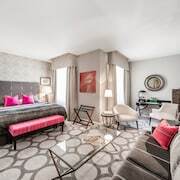 Bearsleys Blacksmith Apartments: 4-star apartment with free WiFi and laundry facilities, steps from St John's Church. Our guests enjoy the apartment's proximity to public transport. 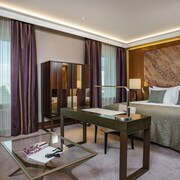 Grand Hotel Kempinski Riga: 5-star hotel with a casino, 2 restaurants and free breakfast, steps from Freedom Monument. 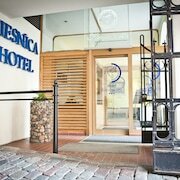 Expedia travellers like this hotel's comfortable rooms and helpful staff. 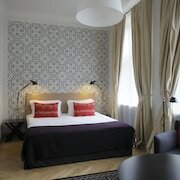 Relais Le Chevalier: 4-star hotel with free breakfast, a bar/lounge and free WiFi, steps from Great Guild Hall. 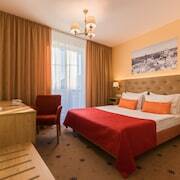 Our guests rate this hotel highly for its central location and breakfast. 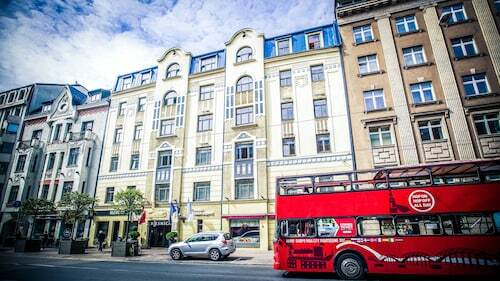 Old Town's sights and attractions like Riga History and Navigation Museum, Occupation Museum and National Theater offer insight into the local culture. Small Guild Hall and Great Guild Hall are some other places worth a visit when you're in the the neighbourhood.